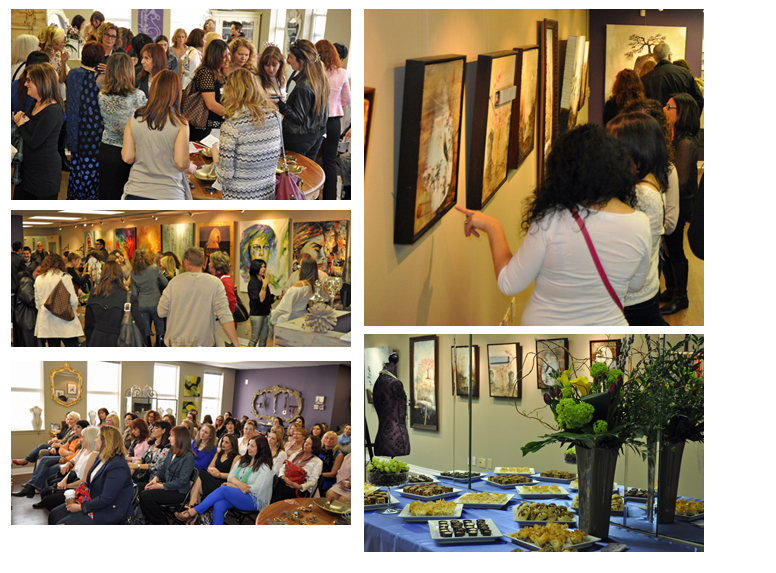 Location: 4 Women Gallery, 7787 Yonge Street, Thornhill. Corner of Yonge & Centre (at the Starbucks plaza). Suite 205, 2'nd floor. 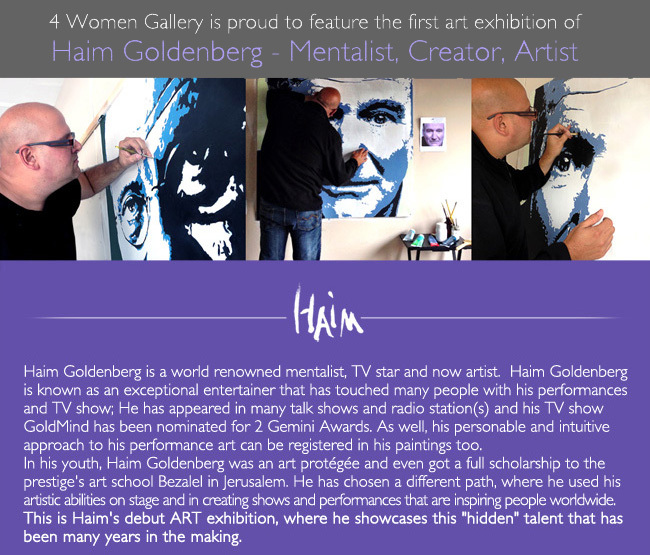 ‘4 Women Gallery’ is a small, young gallery featuring a smorgasbord of unique artists, illustrators, designers and craftsmen getting together to exhibit their art work. Its artists seem to share a penchant for conceptualist sleight-of-hand mixed with the use of unexpected materials. 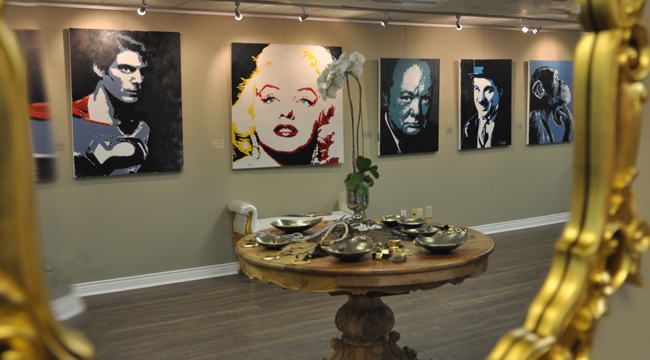 Indeed, it offers an impeccable downtown atmosphere in a small second floor gallery located in Old Thornhill (7787 Yonge St.) and it has quickly established itself as one of the go-to galleries. This contemporary art gallery was founded by Jewelry Designer Ayala Raiter, who brings a wealth of experience to selecting works by a small group of artists, mainly painters. 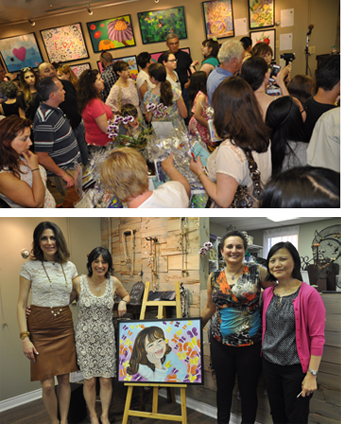 Working with artists from around the world, Ayala’s vision behind the ‘4 Women Gallery’ was not only to provide an intimate and affordable stage to showcase local new and established artists but also to focus on empowering women, contributing back to the community while providing a unique shopping experience. 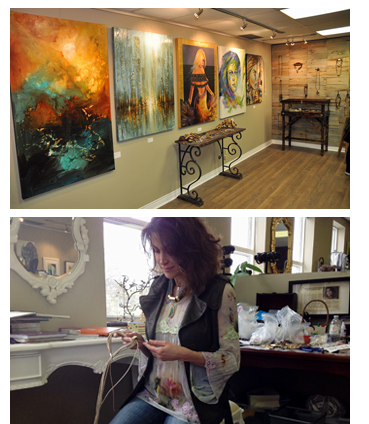 Every 4 to 8 weeks the gallery hosts a new artist along with few ongoing exhibits of jewelry design, accessories, furniture and home décor. Besides ongoing support of local and national charities, Ayala tries to host a monthly event that contributes to a specific charity.